Happy to see that you’re out of your turkey coma and ready to get back on track with some healthy choices for the New Year! You’re not alone in wanting to eat better – most of us crave a healthier diet after a December of making merry with sweets and other holiday goodies. Even those who have made the effort to eat iron-rich foods over the holidays have probably managed to over-indulge in even these foods. ‘Tis the way of the season, it seems! You can have too much of a good thing though, and eating loads of red meat and other iron-rich foods, depending on how you prepare them, fat content, etc., can actually be a not-so-healthy choice. So what’s an iron-conscious person to do? Well, you can consider adding some superfoods to your diet this year. They’re considered ‘superfoods’ because they’re low in calories and high in nutrients and antioxidants. In short, they pack a whole lot of nutritional punch! 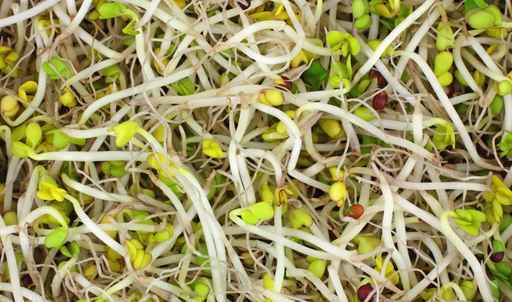 They look like alfalfa sprouts and have been popping up in trendy restaurants for a while now, but their incredible benefits make them a must-eat! Broccoli sprouts (which are said to taste like a radish) are broccoli seeds that have not yet matured… you may have heard about the increasing popularity of sprouting seeds which are considered to be a ‘nutritional powerhouse’. While broccoli sprouts are a good source of vitamins A, B, C, E and K, calcium, magnesium, folate (which helps to increase red blood cell production) and more, some studies have also shown that broccoli sprouts may help in preventing heart disease, hypertension, osteoarthritis and diabetes. 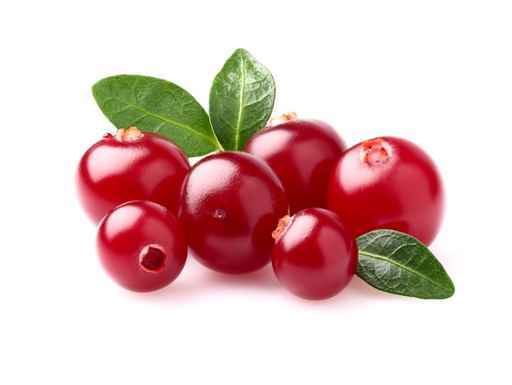 More than just a sauce to eat with your IKEA meatballs, the lingonberry is packed with nutrients and antioxidants that have been linked to decreased inflammation, increased red blood cell count, and better liver function. They’re not exactly high in iron, but with so many other health benefits these tasty berries are worth adding to your diet. Lingonberries can also be found in juice form and also in some jams! This sticky rice may not be everyone’s cup of tea, but given all of the benefits, it may be worth swapping out your white (or even brown) rice for! 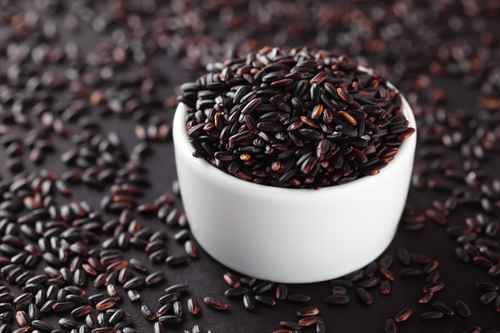 Black rice is high in fiber, vitamins, and minerals, including iron (3.5 mg of iron per 100 g serving). It also contains high amounts of antioxidants that are known to help prevent diseases, such as cardiovascular disease. The antioxidants found in black rice have also been linked to improved memory. I’m interested to know what ‘superfoods’ and iron-rich foods you’ll be adding to your diet this year! Please leave your comments below! Moringa capsule is rich in iron which is not much needed by post menopaused women. Is there moringa capsule with less iron /appropriate for postmenopaused women? Not knowing your specific situation, I cannot recommend a specific product. I would suggest looking at the company’s website to gain basic product information. While you are correct that once post-menopausal, a woman’s risk of developing iron deficiency is reduced, it’s important to establish that you do not have a pre-existing iron deficiency before abandoning your oral iron supplementation. I would urge you to please check out my Symptoms Checker and my article on the progression of iron deficiency. I would also encourage you to visit your primary health care provider and ask for lab work, specifically a complete blood count, iron panel and ferritin level. Based on these results, you can work with your doctor and/or pharmacist to decide whether you can stop your oral iron supplementation.